WhatsApp hit headlines last week when it announced it was dropping its annual subscription fee. 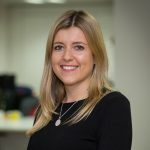 In part, this move was driven by the service’s desire to make a real impact in fast-growth markets, where the charge may have been hindering uptake. 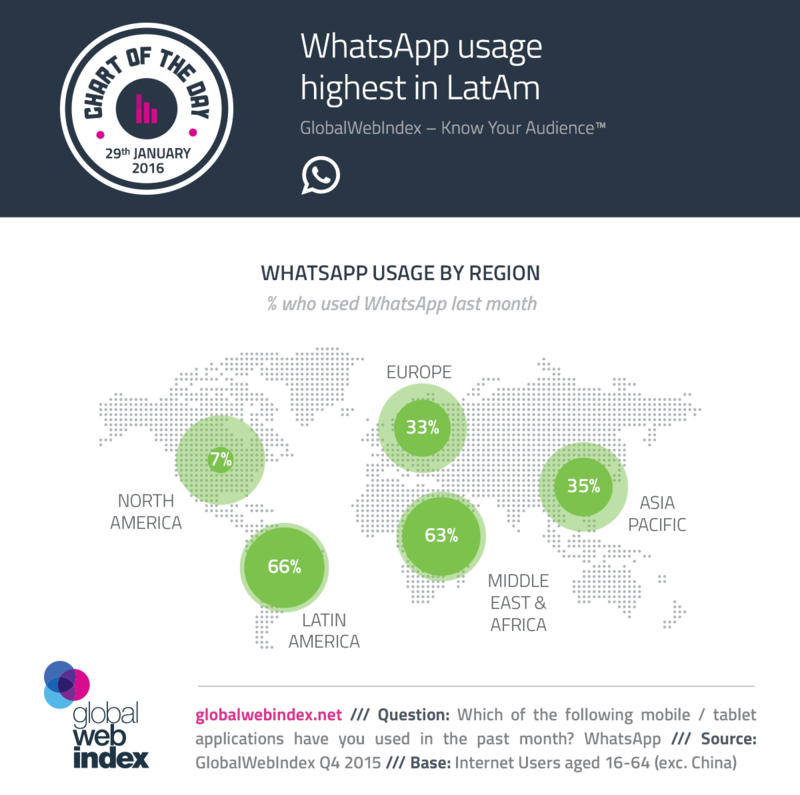 As this week’s final Chart of the Day shows, WhatsApp has already made substantial progress in LatAm and the Middle East where around two thirds of internet users are now WhatsApping. In contrast, North America has always been a problem for WhatsApp, with Facebook Messenger being the dominant messaging service. But it’s in Asia where WhatsApp’s free model could bring the biggest increases. Leaving aside China, where WeChat is in total control, WhatsApp can claim 35% usage rates across the rest of the region – a decent figure, certainly, but one which shows how much room there is for further expansion.